Combining doctrine, Scripture application and real-life experiences, the NIV Faith and Work Bible will help you answer the question. It doesn’t matter what job or career you have—part-time, third shift or freelance; from the shop floor, to the school hallways, to the corner office; this Bible will reveal how relevant God’s Word is to your daily work life. 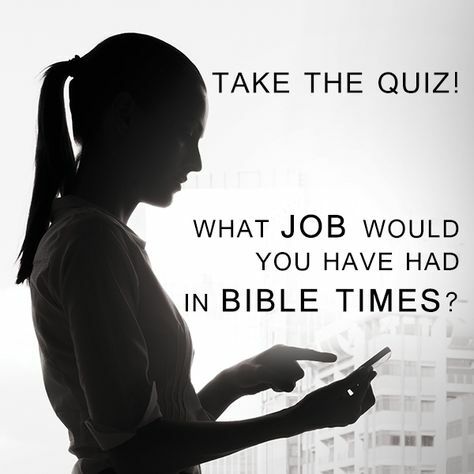 WHAT JOB WOULD YOU HAVE HAD IN BIBLE TIMES?